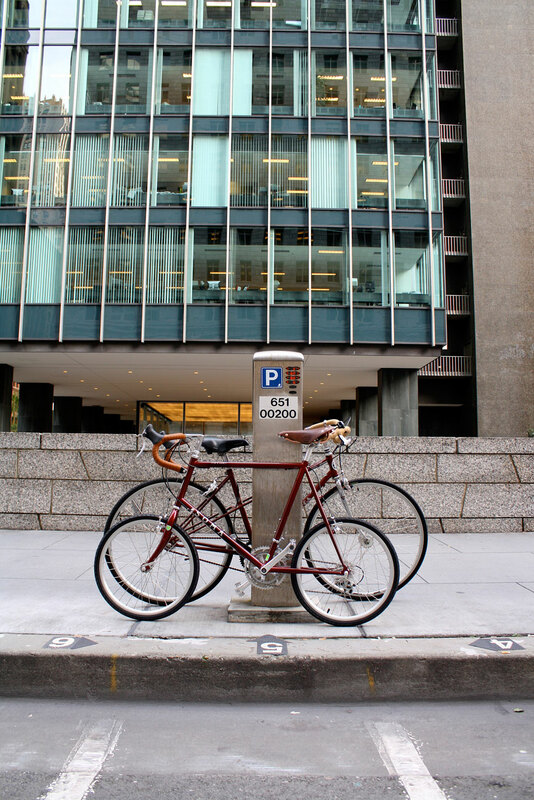 The Soma Fab Blog: The Mini Velo has arrived! Great-looking bike; looks like a blast to ride. Looks Great! Looks like it will be a lot of fun to ride. 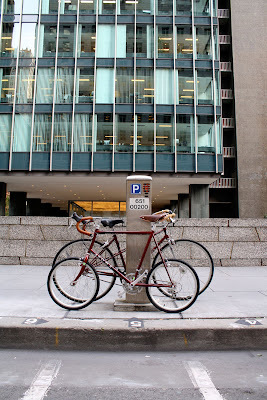 What is the geometry of these bikes? What sizes will be available? Do you have the weight of the complete bike? Also, what will it be priced at? Hey!! So I added the weight (23.5 lbs) and fixed the chart..thanks Anonymous!! PS j.schwartz I like your picture...what are those creatures? really glad to see these available in the states! however, since I'm 6'3", even the largest (55cm) might be way too small, right? Will frameset only be available in the future? 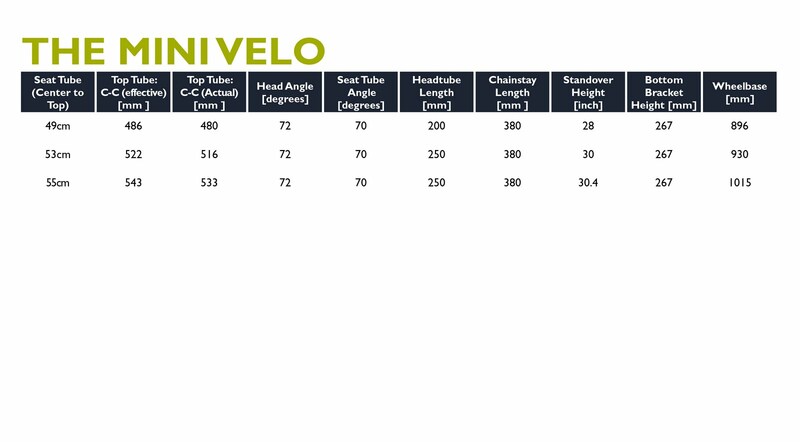 Hey Anonymous, we would like to sell only the frameset in the future, we're just gauging the success of the Mini Velo before we make it available. Too bad it's not 1" threadless 'cause a quill adaptor would look SWEET on that bike. I did some research, and mini velo should be compatible with the bike racks on Seattle area buses! 16" is the minimum wheel size accepted. 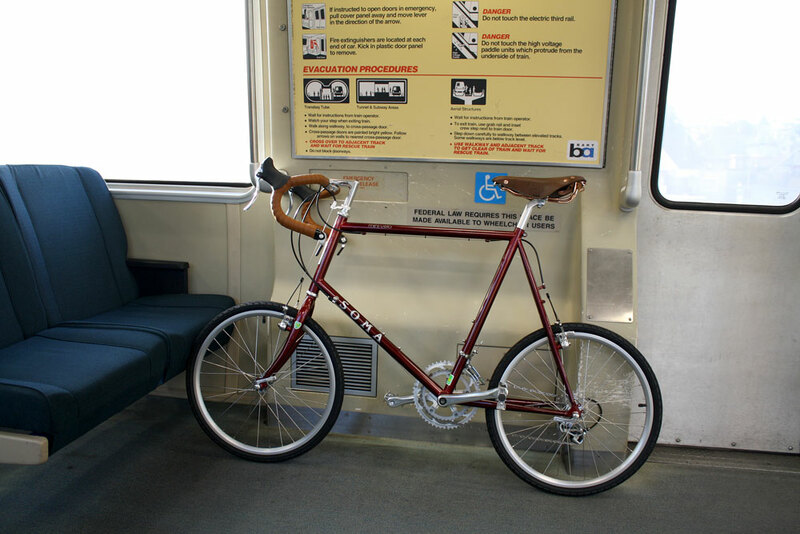 You can't take them ON the bus, though (only folding bikes that will fit under your seat are allowed). What size would you recommend for someone with a shorter inseam (29")? Love to see this with traditional crowned forks someday. I was wondering what size stems these bikes come with? It would be great to see this sold as frameset only. What is the max tire clearance, with and without fenders? What about kids' sized frames, like for a 9-10 year old? Is that remotely a possibility? Do you have a photo of it in front of road bike, for comparison? Wait a second. I see cantilever brakes. Is this one of the narrow 406 tires that breaks the standard decimal/fraction rule to distinguish 406/451 sizes? If it takes 406, how much clearance is there? You should offer a version of this frame with S&S couplers -- I'd bet it'd make a really nice travel bike! Coupled, yes. Frame-only: absolutely! Please!!! 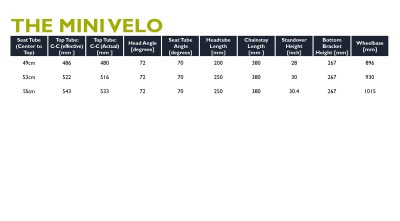 @stevep33: The clearance is 1 1/8" with fenders and 1 1/4" without..
@Robert: posting a picture of it with the Univega..
@Anonymous: with your 29" inseam I would suggest the smallest size (48cm). Cant wait for the 59cm model! So when's the version with the S&S couplings coming out? Do you have on built in the shop? The rotational inertia of a big wheel matters a lot more than I once thought. I have a high-end folding bike with 451 wheels that has slid out from under me several times -- to the point where I will not ride the bike any more. 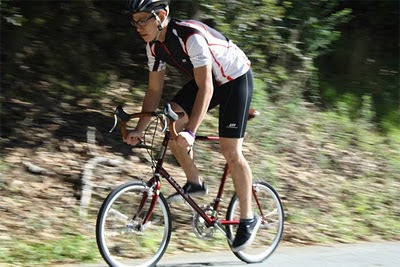 Small tires work OK for small people or a very low saddle, but beware. Great idea! It would compliment my Smoothie well. 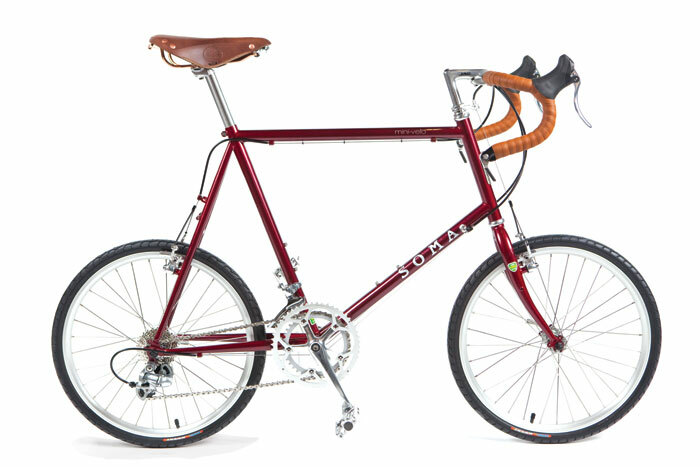 Any plans to make it available in a single speed freewheel version if you're going to stick with the complete bike? I'd be all over it. 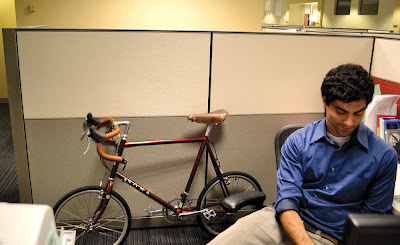 I have the gears on the Smoothie for my regular commute but would like a smaller single speed for the multi-modal commutes and runs around town (I don't really like the look of the folding bikes). @Eric R. Unfortunately we don't have any plans for a singlespeed Mini Velo at the moment :( Sorry! What is the wheel size, 451 or 406? Are the component specs listed somewhere? I live in New York City - is there a place where I could take one of these for a spin? What is the standover height for the 48 cm model? 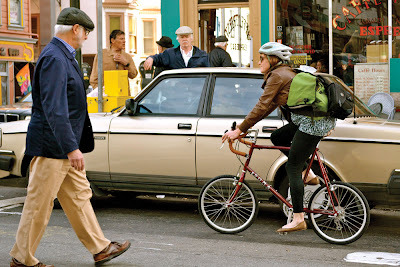 The drop handlebars look a bit large on the frame - are they standard in size, or smaller to fit the proportions of the mini frame? 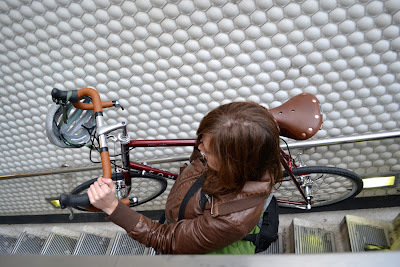 Do 20" wheels work on San Francisco's Muni bus racks? What are the advantages of a mini velo over a folding bike with 20" tyres? They are stiffer and more durable since there are no weak joints to fail over time. Folding frames tend to be extremely flexy. @wh For now we're only offering the 53cm frame, so that should help you decide.